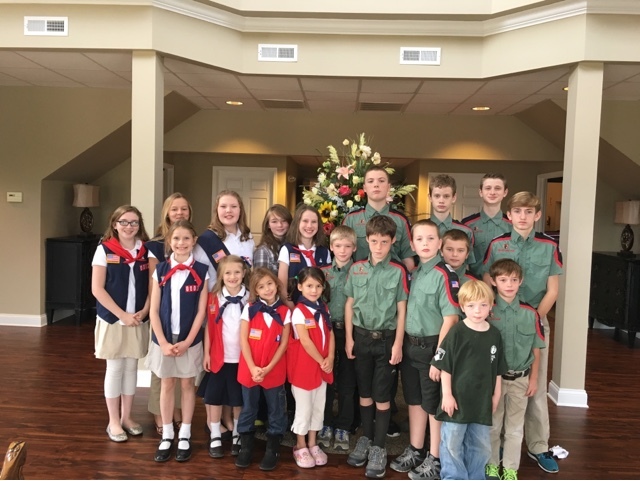 Last Sunday our troop took part in a Youth service at the church we meet at on Monday nights. 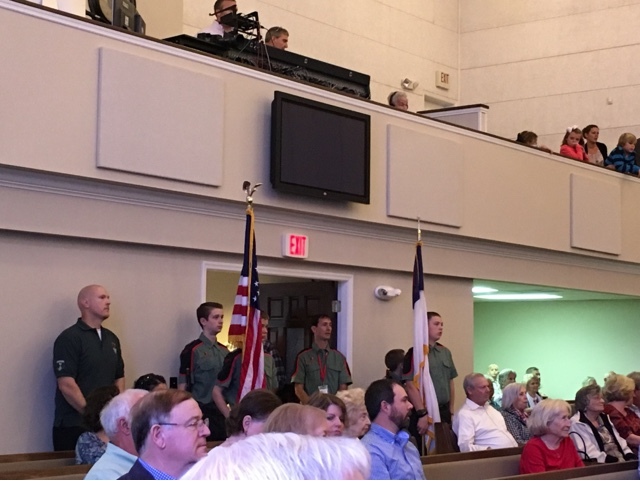 We wanted to make sure to tell the church that we appreciated them for allowing us to use the facility and to show honor for what our troops stand for. 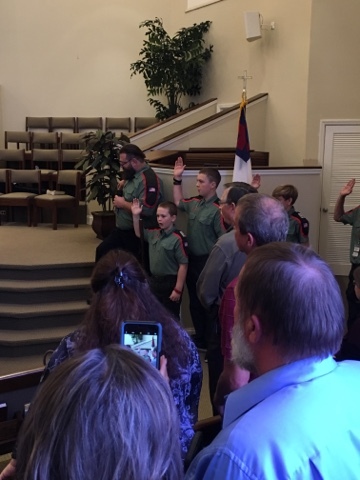 Eli and Abram were part of the color guard. 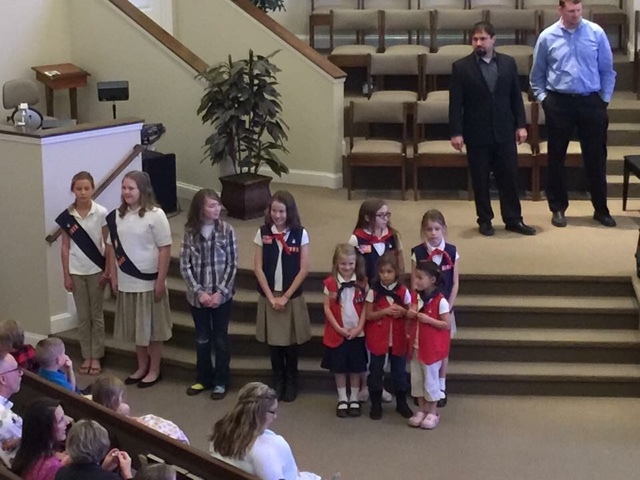 They presented the Christian flag. It was very special. 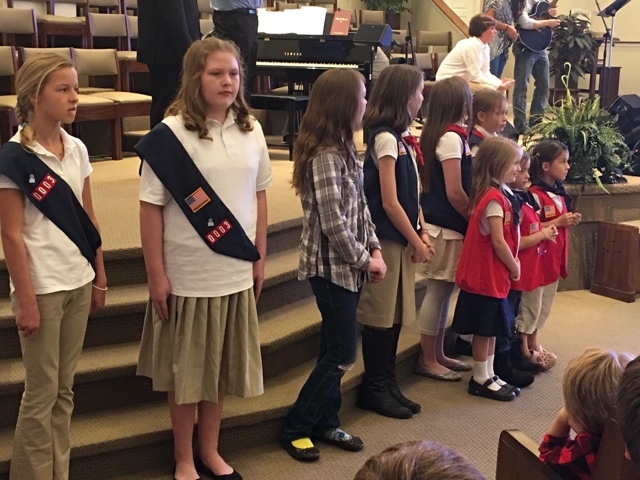 Here's Carlie and the rest of her troop of American Heritage Girls. Aren't they sweet? 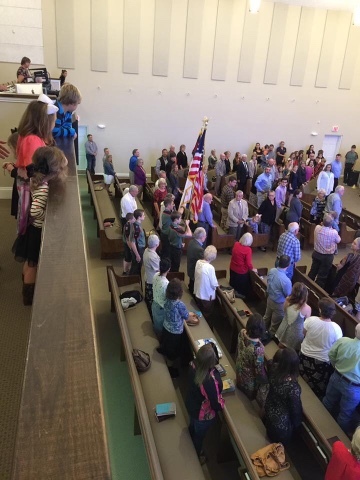 They recited their creed and oath and they all did the pledge of Allegiance. The boys reciting their creed and pledge also. It was a special day, and the fact that it happened on my birthday made it even more special.